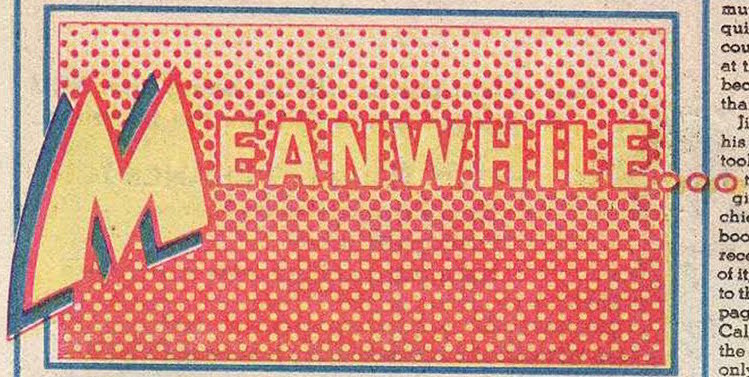 In this week’s very timely MEANWHILE … column, Menachem Luchins considers the very personal meaning of Kamala Khan. The may sound a little weird: As a child, I lived in a middle-class neighborhood that counted itself part of New York City. I’m white and probably the biggest issue I dealt with was being overweight and a bit of a nerd. That’s not the weird part. The weird part is I never saw myself in the comics I read. Comics in the ’80s and ’90s (at least the ones I got my hands on) featured white men, often teenagers or outsiders, who — before they got their powers — didn’t have many concerns beyond being an outsider in towns very similar to mine. But here’s the wrinkle: I’m also an Orthodox Jew. For years we’ve been told that Judaism and comics are deeply intertwined. Heck, Michael Chabon won a Pulitzer Prize for a novel about pretty much just that. Siegel & Shuster’s Jewishness has been the source of countless books and Will Eisner, America’s Tezuka, was so Jewish that you can FEEL the Yiddish theater influences on every page of his Dropsie Avenue work. True, Ben Grimm had not been outed yet, but there were super-heroes who identified as Jewish… and therein lay a large part of the problem. Being culturally Jewish and religiously Jewish are very different things. It’s hard to explain clearly but many of the things people think of as “Jewish” have a lot less to do with my religion than they do with a certain time and place in history. 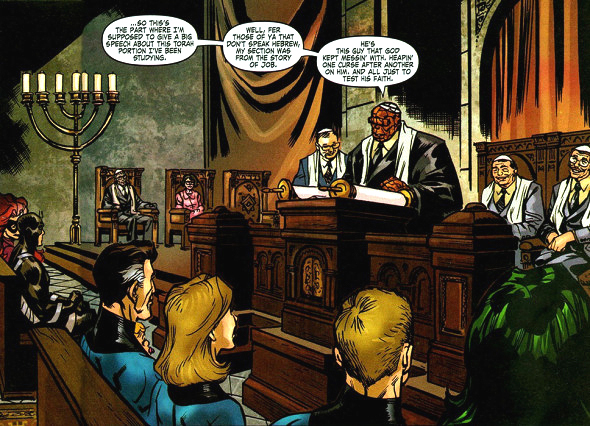 Peter David can have Doc Samson re-tell the Hanukkah story as much as he liked, but the idea of Sunday School with boys and girls in the same class was not something I was any more familiar with than the American public school system. Sabra can be a nice character for those looking for Zionist pride but if my sister tried to wear that outfit, she would have been locked in her room. 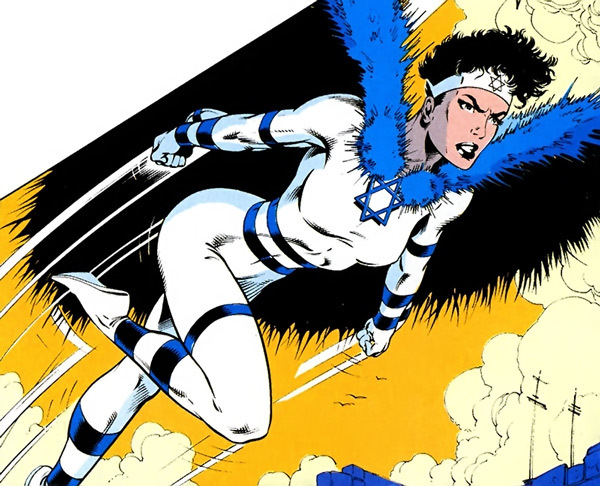 As a religious comics nerd, I spent hours wondering about the Halachik (Jewish religious law) implications of super powers: Could you use your powers on Shabbos? What if your powers relied on something forbidden, did the forbidden nature override the fact that you could help people? And what about helping people — should you put yourself at the disposal of the rabbi to tell you what situations warranted help? Probably as much time was devoted to moral and ethical quandaries as to imagining myself web-slinging or flaming on. And none of the characters I read seemed to go through this. 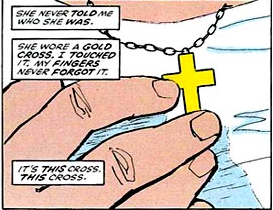 Well, yes, Daredevil did spend a nice amount of time talking about Catholicism but despite being raised in an area that was predominantly the same, I really couldn’t make heads or tails of those confession booths and the moral ambiguity of absolution. Things are better now. I think characters in superhero comics are allowed more leeway in discussing the moral implications of their powers. 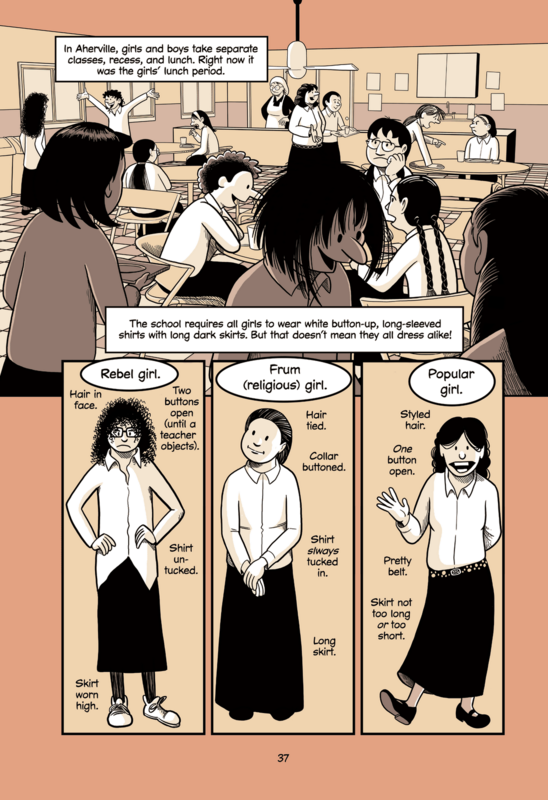 On the Jewish side of things, we also have Barry Deutsch’s Hereville, a fantasy series that covers the sort of religious Judaism I grew up with about as perfectly as I’ve ever seen it done on the comic page. 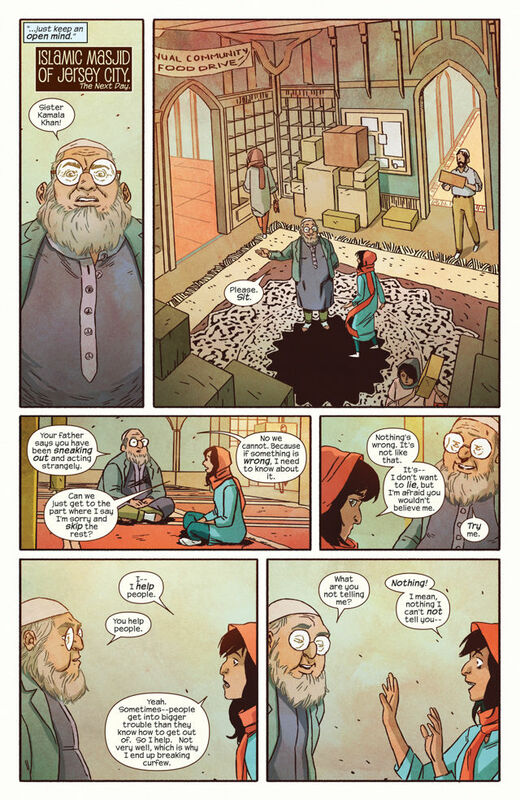 But nothing out there hits me the way that G. Willow Wilson, Sana Amanat and Adrian Alphona’s Ms. Marvel does. I don’t think I have ever related with a super-hero as intensely as I do with Kamala Khan. Kamala and teen-me have a lot more in common than I ever did with any Jewish character Marvel or DC ever had. I too, had an older brother whose religious devotion and zeal created distance between us, and I too sat and listened to religious leaders with whom I did not quite know how to relate. The conversation she eventually has with her imam is almost verbatim the kind the imaginary conversations with my rabbi I practiced for when I would (finally) get my powers. Not that the Khans are even as religious as I was. There was no way I would have been in a public school at any point before college and the idea of a non-Jew inviting me to a party actually never crossed my mind for most of my teen years. But, like many other readers, I finally get to see a character whose personal issues reflect our turbulent teen years and, more than that, we are treated in the back to the letters of young and old readers who, new to comics, are seeing themselves reflected in a way I never did when comics were new to me. Amanat’s letters column is almost a surefire to get me to cry. Really. This is to say nothing of Wilson’s fantastic writing and ear for naturalistic dialogue and Alphona’s vibrant art. 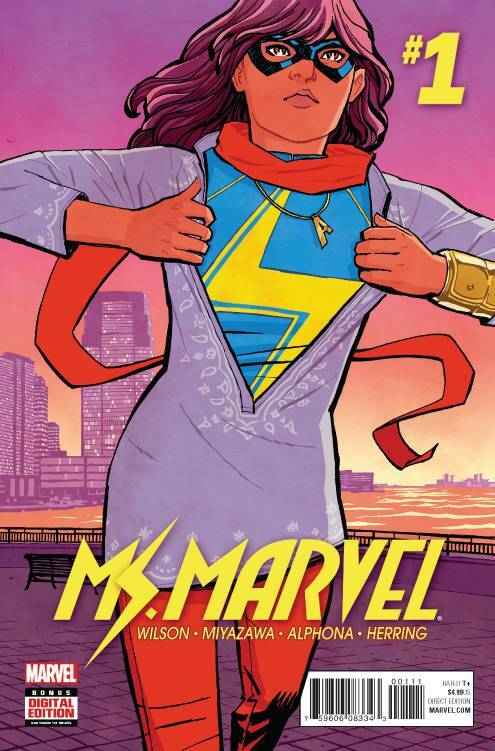 Whether she meant something to me personally or not, Ms. Marvel would still be one of the best books Marvel is putting out right now and I would enthusiastically recommend it to anyone. But knowing that my children, who are also observant Jews, have a story to turn to, a story that will actually address issues that they will deal with in the years to come, makes it by far the book I am most excited to see returning this week.